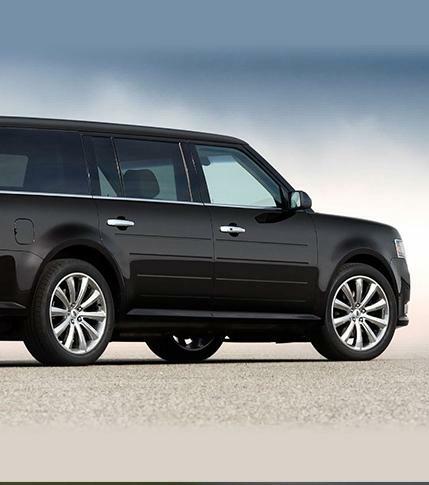 The shape of the Ford Flex, its cleanly sculpted lines and low-profile stance, is unique in the world of SUVs. One look at the style of the Flex tells you immediately that this vehicle is designed for maximum passenger comfort and cargo-carrying versatility. If it’s your style to stand out from the everyday crowd, drive the SUV that reflects your style of living. Ford Flex. Convenience features make the personal and operational tasks performed every day on the road a lot easier. 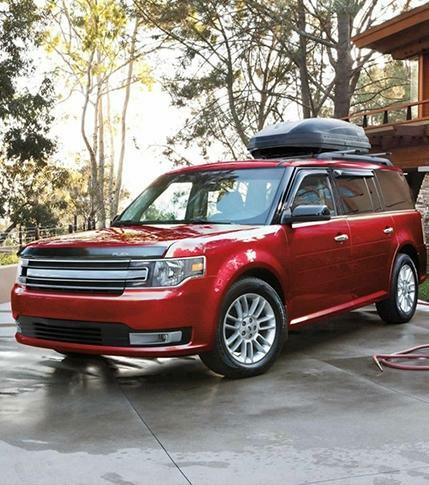 Among the many conveniences you’ll find in a Ford Flex: Easy-folding rear seats for accessing cargo space. Up to 10 cupholders. Heated outside mirrors. Available Power Liftgate, Intelligent Access with Push-Button Start, plus SYNC® 3 for the latest in Ford hands-free connectivity. Available Adaptive Cruise Control goes beyond conventional cruise control. When its radar detects traffic slowing ahead, your vehicle also slows — and resumes the set speed when traffic speed ahead increases. Available Forward Collision Warning with Brake Support can alert you if it senses a potential collision with the car in front of you. A display flashes on the windshield and provides an audible warning. If you don’t react in time, the brakes will precharge and increase brake-assist sensitivity to provide full responsiveness when you do brake. 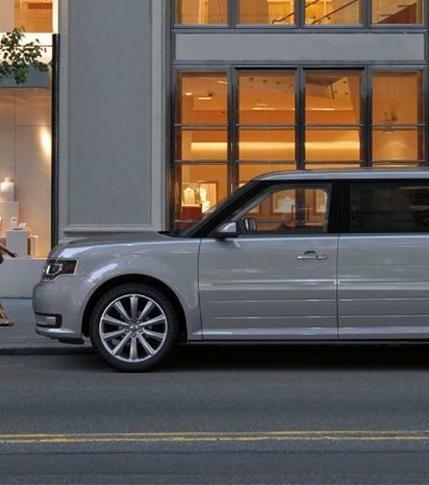 Choosing the Ford Flex is a smart move from the get-go. Its intelligent design provides a low ground clearance for easy entry and exit, a spacious seven-passenger cabin, plus generous cargo space when you need it. Now factor in all the available technology features like Active Park Assist, Adaptive Cruise Control, BLIS® (Blind Spot Information System), and SYNC® 3. Plus AdvanceTrac® with Roll Stability Control™ and a rear view camera, both standard. 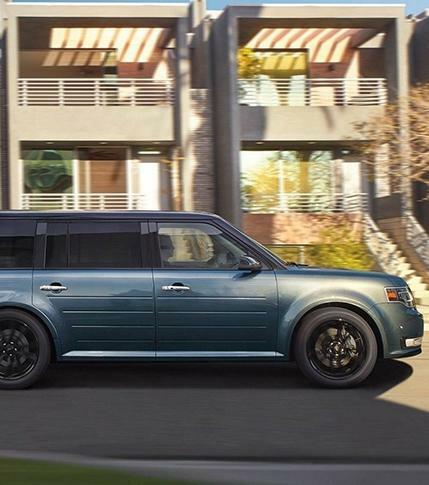 2019 Ford Flex. A smart choice for sure. No need to dread parallel parking anymore. Available Active Park Assist helps make it a breeze. 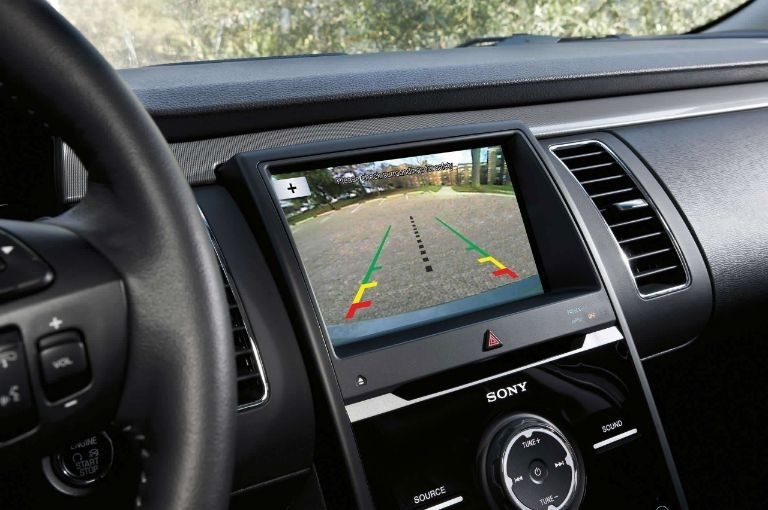 While driving slowly by parking spots, simply activate this feature and it scans for available parking spaces. Ultrasonic sensors measure the distance to the curb and other parked cars. Once the right spot is identified, you’re signaled to stop and accept the system’s assistance. You control the shifting, accelerating and braking.